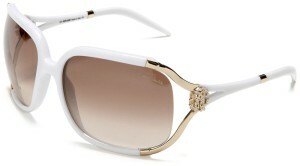 This year any fashionable outfit appears almost incomplete without a nice and fashionable pair of stand-out sunglasses. And this spring/summer season in particular there are quite a few striking new trends that one shouldn’t miss. All this has created quite some hype around the new sunglasses designs and many tweeting about Luxottica and Ray-Ban. 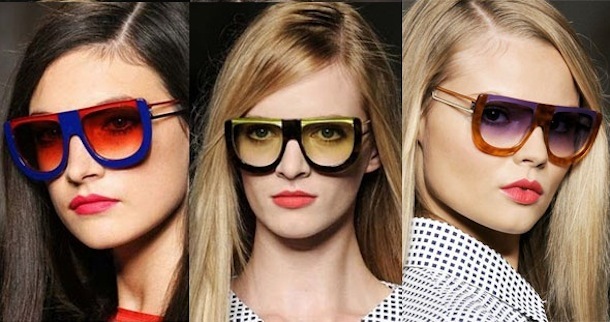 So let’s take a look at some of the top sunglasses trends to take note of this season. This season the runway has been flooded with interestingly shaped sunglasses. These have been most prominent in Fendi, Versace, Marni and Prabal Gurung’s new season collections. Odd-shaped eyewear makes for a wonderful quirky accessory to be worn with almost any outfit, but if you choose to imitate the looks displayed on the catwalk this season, then you should know that uniquely-shaped sunglasses look great with a sleek ponytail and simple colours making your eyewear the main accent of your look. 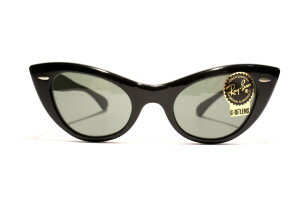 A significant number of top designers including Anna Sui, Jason Wu, Erdem, Rachel Roy and Alice + Olivia all have featured striking cat-eye glasses in their spring/summer collections. These cute glasses and sunglasses offer a wonderful retro feel to any modern or vintage look. If you’re looking to make a fashion statement, follow in the footsteps of quirky designer Anna Sui and team your cat-eye sunglasses with a lick of bright red lipstick. Heads will turn! This is almost certainly one of the boldest and most daring glasses trends to emerge this season. This shape of sunglasses looks great with sportswear or casual clothing and imitates the eyewear worn by the likes of skiers, scientists and construction workers. This up and coming trend has been spotted in numerous designers’ collections including Micheal Kors, Tracey Reese and Milly by Michelle Smith. Glasses and sunglasses with ornate and pretty frames are definitely one of the cutest sunglasses trends that we have seen so far this season. Designers such as Prada and Anna Sui sported designs featuring flowers within their 2013 collections, whilst Roberto Cavalli made a trademark statement with glasses decorated with stand-out metallic ornaments. These eyewear trends are set to make their way onto our high streets this season as they hit the shops shortly. Statement sunglasses is a great way to add that something special to your outfit and ensure that you stand out amongst the crowd. You can be as creative as you want when it comes down to eyewear and it is clear that this season unique glasses and sunglasses are sure to play an important role in every style-conscious girl’s wardrobe.